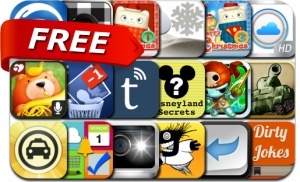 This apps gone free alert includes Pocket World at War, Squids Comics, Daily Monster Monster, Lost a Friend, Swipy, Winter Weather Decoder, Pilo Books, MPro, Flashlight+ 6 in 1, Organizer To-Do, iCarBao, Summer Concert and many others. cab4me – Get a Taxi. Anywhere.